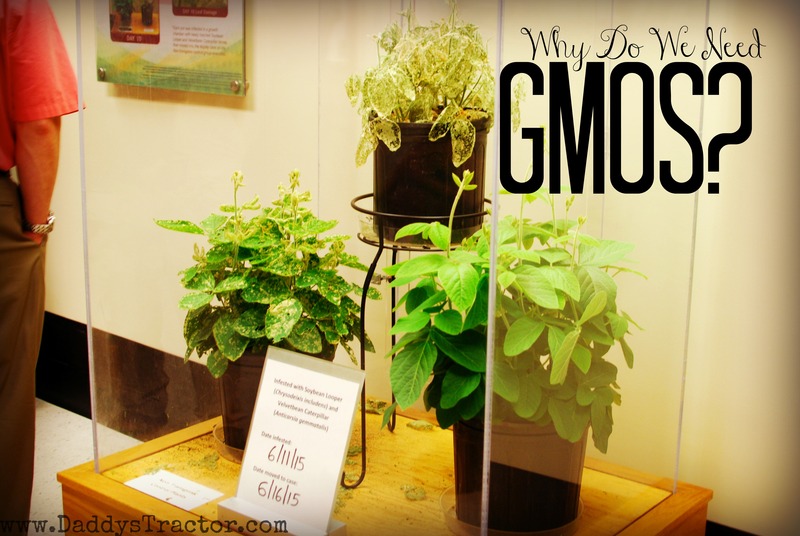 Why Do We Need GMOs? Yesterday I listened to an interview of a farmer in Indiana who currently grows non-GMO soybeans on his farm because consumers are willing to pay more for this premium product. Next year he doesn’t plan to grow them anymore. Why? What’s wrong with regular ol’ beans and why would a farmer choose GMOs, even if the others pay better? This particular farmer (as do all farmers) was having trouble with weeds in his fields. 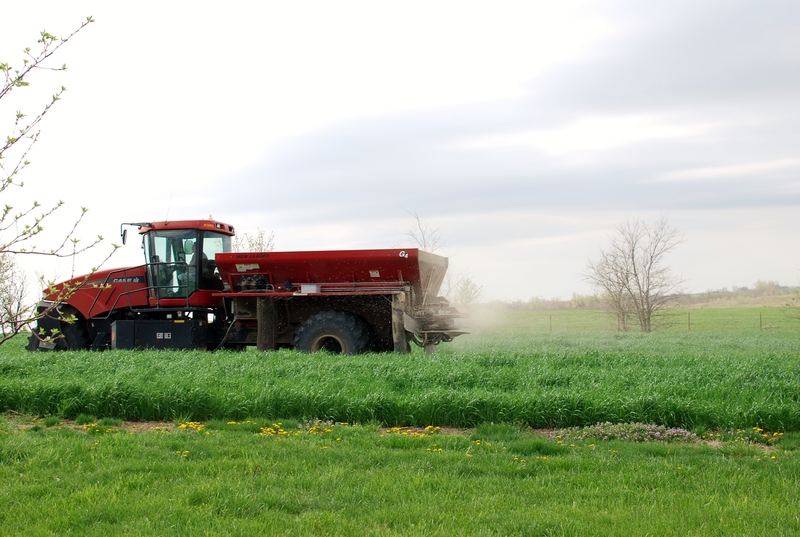 Weeds are a problem because they use resources, like nutrients from the soil, water, and sunlight you wanted for your crop. 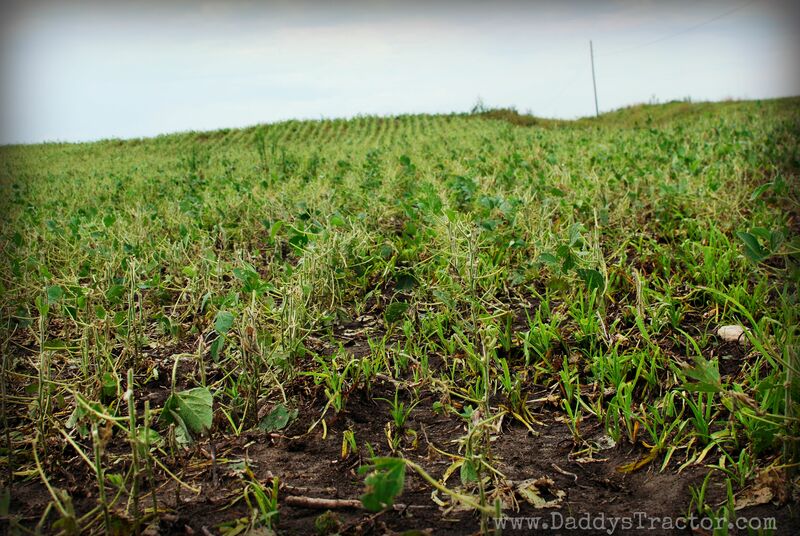 The competition can cause crops to produce less food. 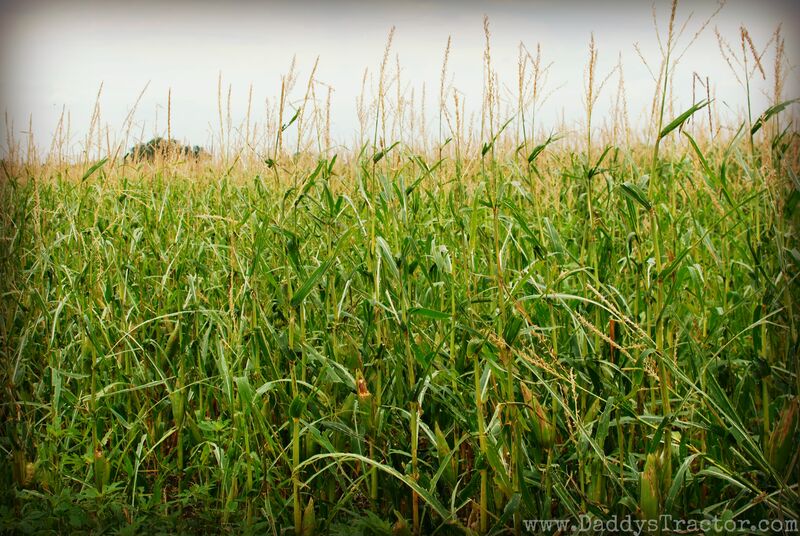 Famers of the past, and those that grow non-GMO products, used a combination of products to kill the weeds, often applying them two or three times to kill those weeds. That costs in time, money, and harm to the environment. 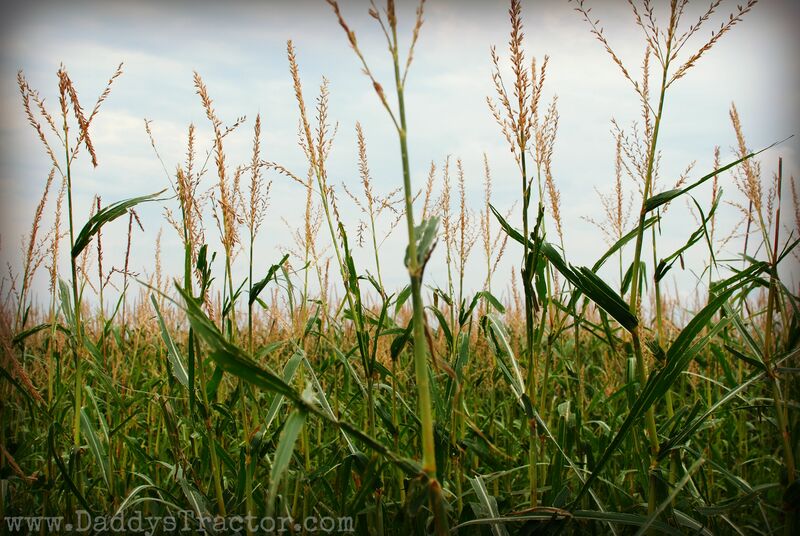 GMOs were created so farmers could spray a product one time and kill weeds more efficiently. 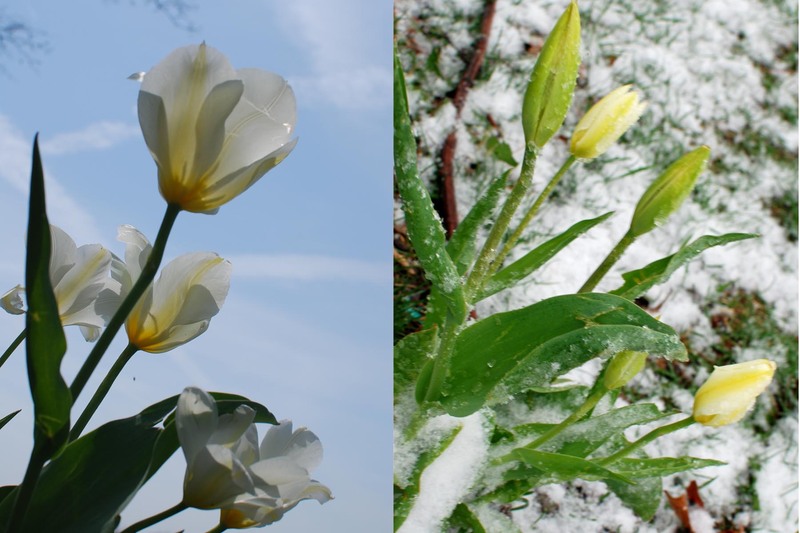 Scientists had the idea to make a spray that interferes with a protein in photosynthesis. Then they created a seed that was protected from the spray. 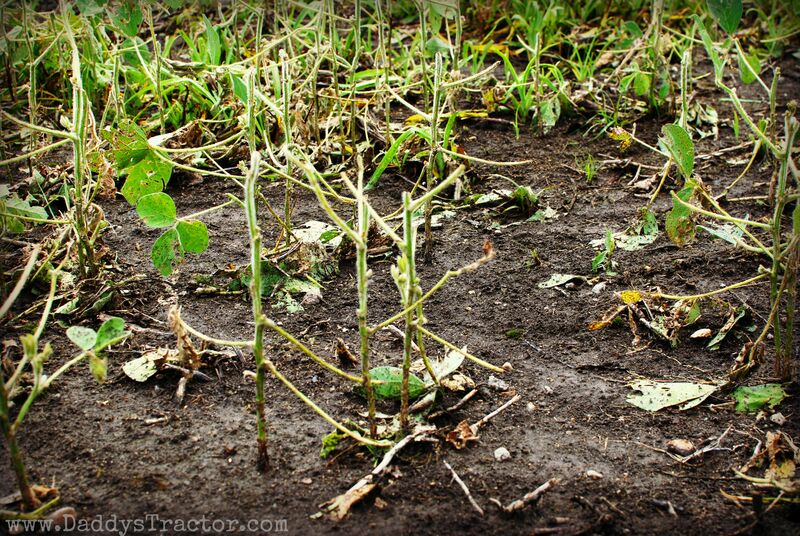 Dead weeds, less chemical. All around win. 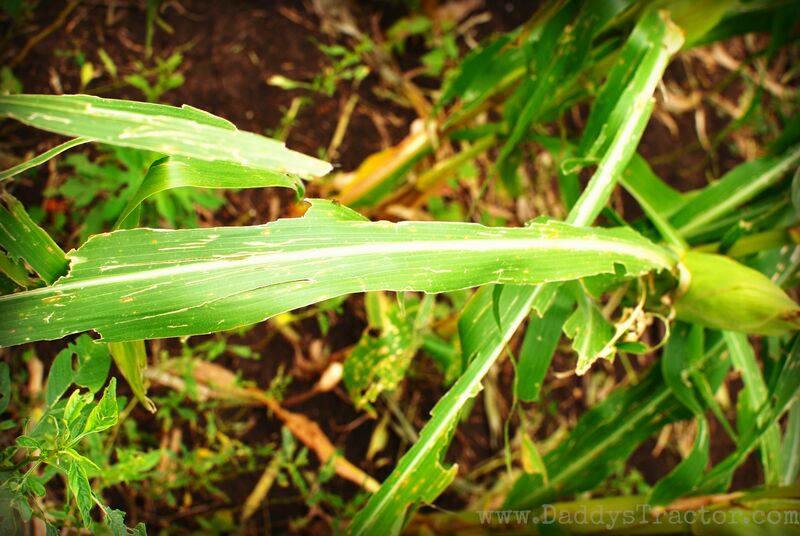 Another problem solved by GMOs is the damage from pests. This works a little like a vaccination. 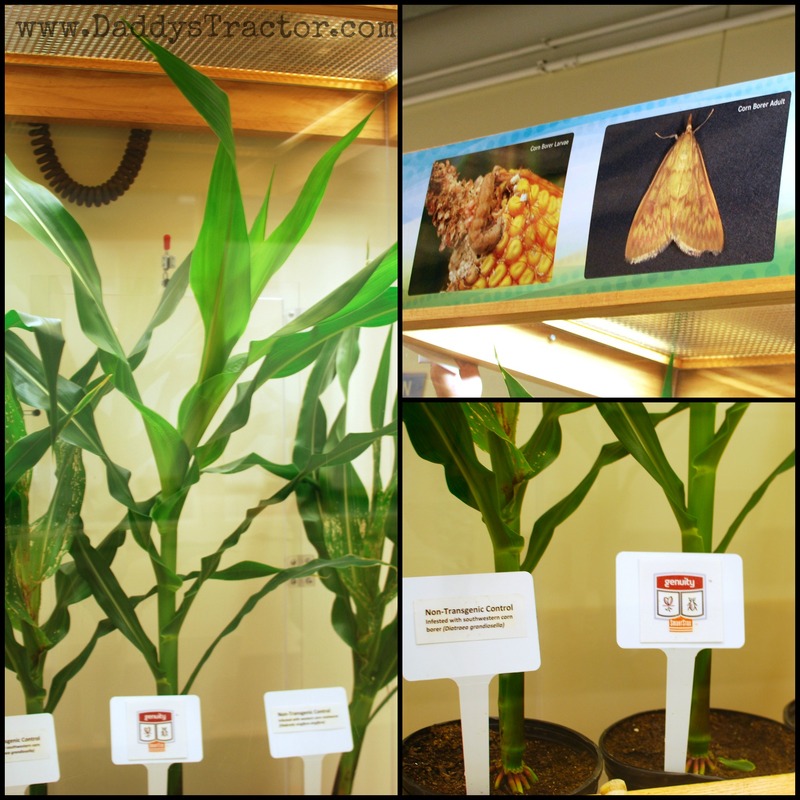 Scientists take DNA that protects from certain insects and put it into the seed, “turning it on” like we discussed in Monday’s post in the roots or leaves, and keeping safe from bugs. 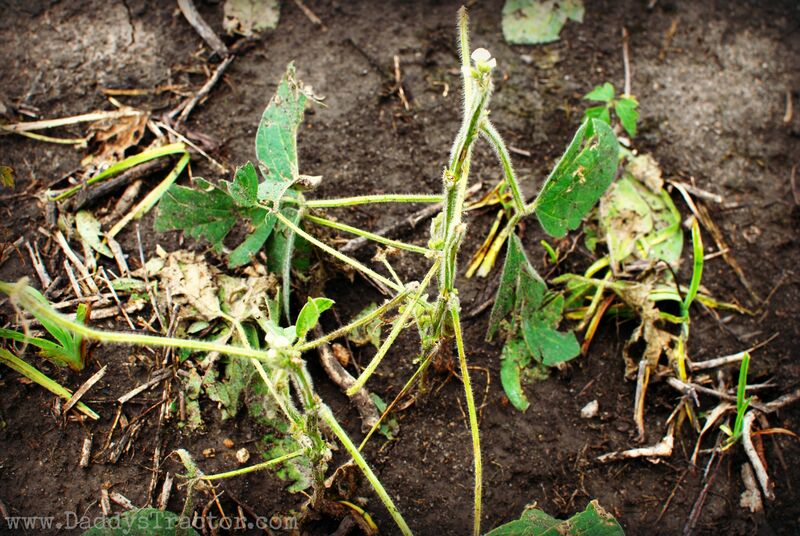 In the above photo three healthy soybean plants were infected with disgusting caterpillar things (scientific term) on June 11th. (And moved into that case on the 16th, if you’re wondering about the bottom date.) I took this picture on June 18th. You can see the damage done in just seven days. I wish I’d gotten clearer pictures of the labels under each plant so I could show you better, but I’m sure you can guess the nice looking plant on the bottom right is the GMO designed to taste nasty to the pests. 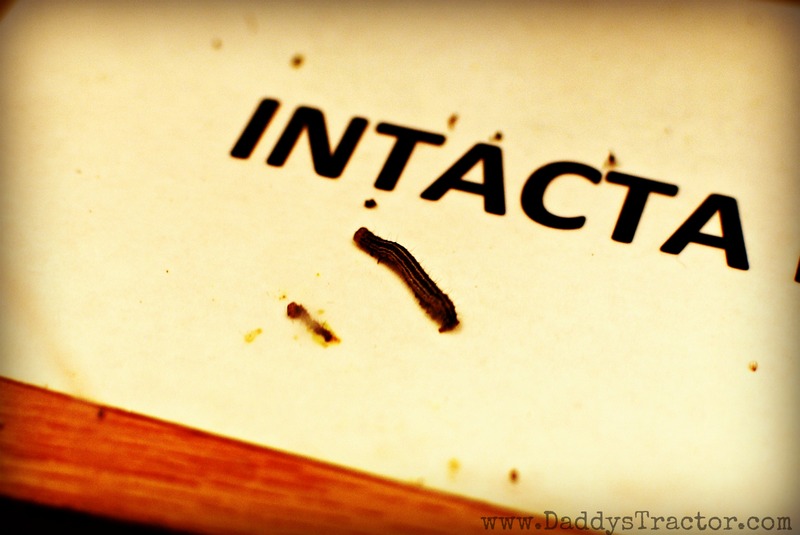 Our guide said the caterpillars figure it out and after a quick bite, never go near the GMO plant again. Hopefully you can read those signs a little better. 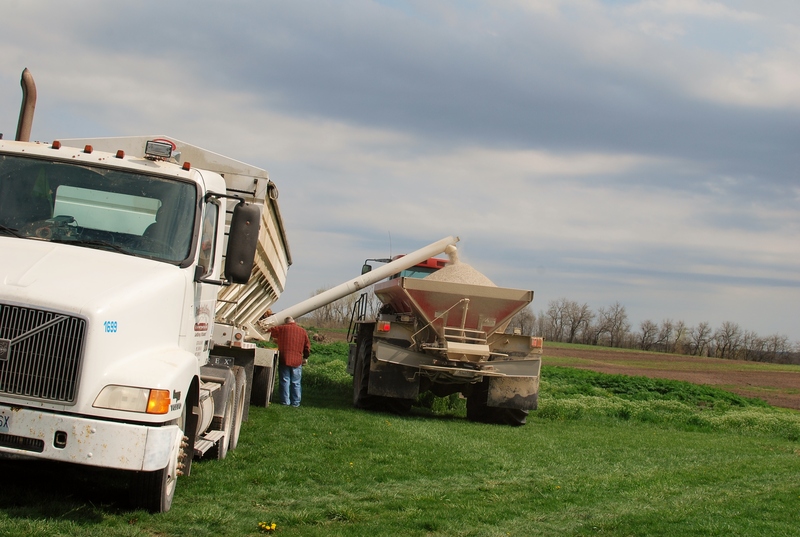 In addition to killing pests and weeds so the plants can grow and produce well, GMOs also keep those two little problems out of the combine and away from the food that is trucked into town. 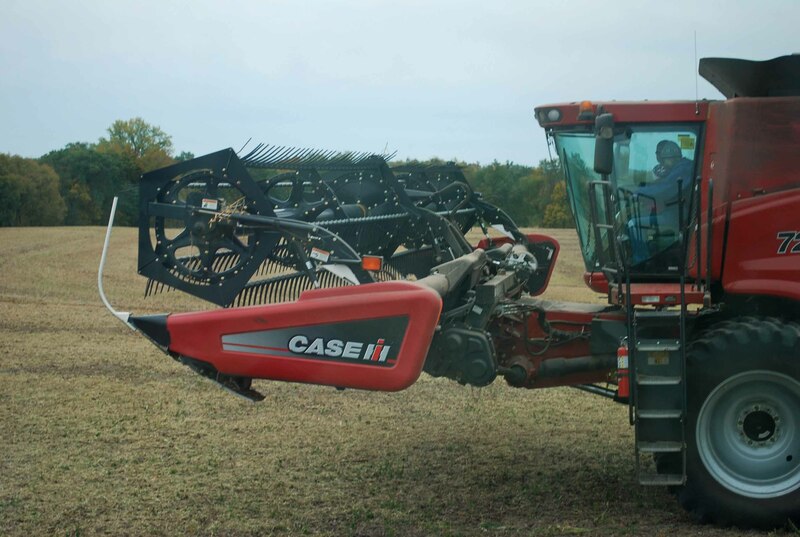 Since a combine can’t tell the difference between Johnson grass and corn, anything growing in the field gets pulled into the equipment– even nasty caterpillars. So the farmer I heard interviewed was going back to GMOs. It means less spraying for weeds, less damage to plants, less loss of income, and better for the everyone. Want simple, straight-forward information about your food? Me too. So here it is. 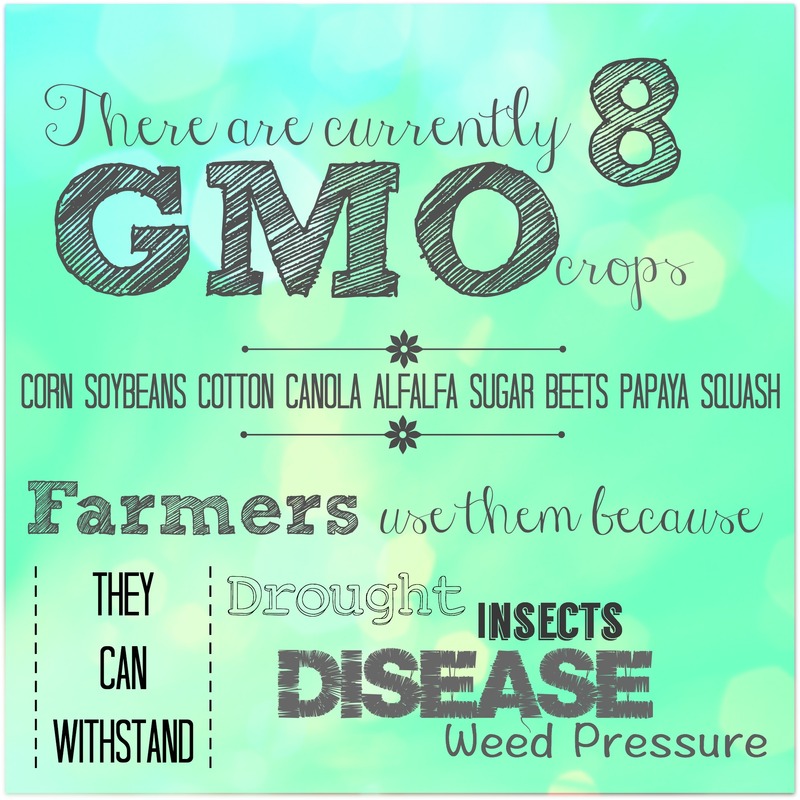 No homework necessary, just one, easy fact about GMOs and why a farmer might choose to use them. Today’s post has been brought to you by the letters G, M, and O, and by the number 8. It has also been brought to you by, Common Ground. Check them out for more straight talking answers. We have been busy the last week trying to get lots of spring field work done before the storm. Not the thunderstorm or rain storm or even hail storm, but a snow storm! Besides putting seeds in the ground there is a lot of field work to do in the spring. 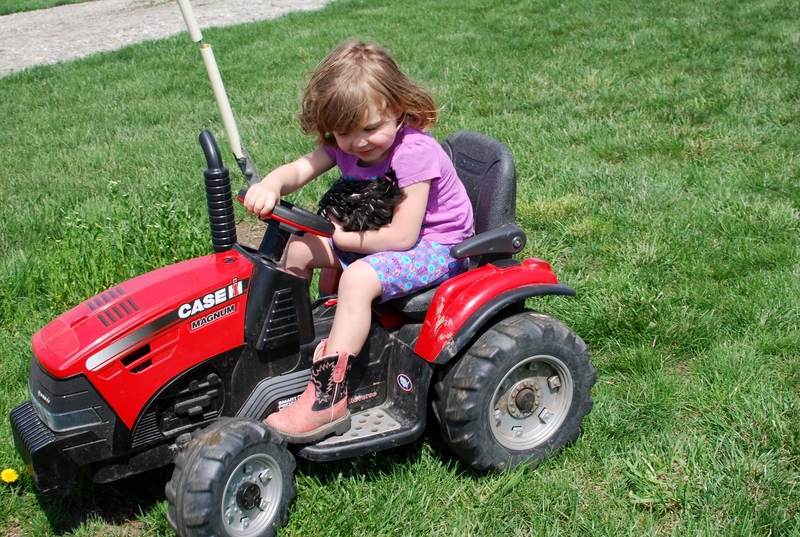 Admittedly, driving chickens around on a toy tractor isn’t one of them… But it made me laugh! 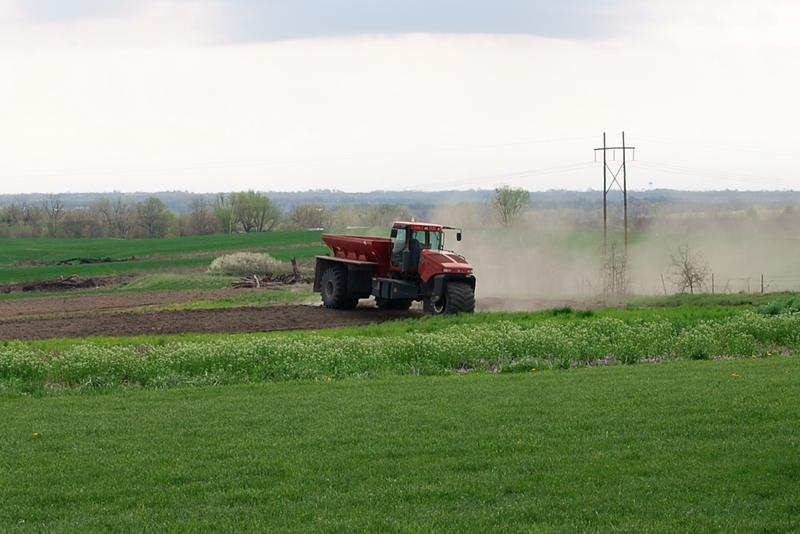 Actually this week Daddy hired a local cooperative to come spread plant food on several of our fields. This three-wheeled contraption spreads phosphorous, potassium and a little bit of nitrogen on fields that will grow soybeans. 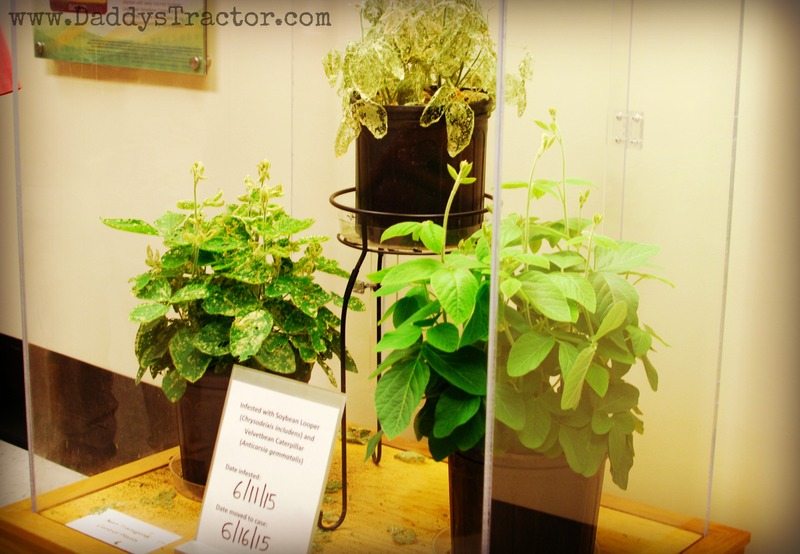 Soybeans, like all plants, need nutrients from the soil. We try to help them out as best we can by leaving corn stalks and other dead plant matter in the soil to break down into food, but they also like the extra snack the fertilizer provides them! From this view you can see small bits flying through the air. (Look close!) There is a wheel at the base of the truck’s bed that spins. As a chain pulls the N,P, &K (those are the chemical expressions for nitrogen, phosphorous, and potassium) down, the wheel spins and sends the plant food all across the field! In this photo you also see what looks like tall grass. That’s rye and Daddy planted it last fall so it could be more food for this year’s plants, as well as keep the weeds to a minimum. He’s so innovative ;-). The cooperative (know by farmers as the co-op, which gets confusing if you’re a homeschool family also participating in a co-op!!) also sends out a guy in a semi truck full of more N,P, & K. When the spreader is empty it drives over, the guys swing the auger out over the spreader and fills the tank again. We’re all about happy plants :-). 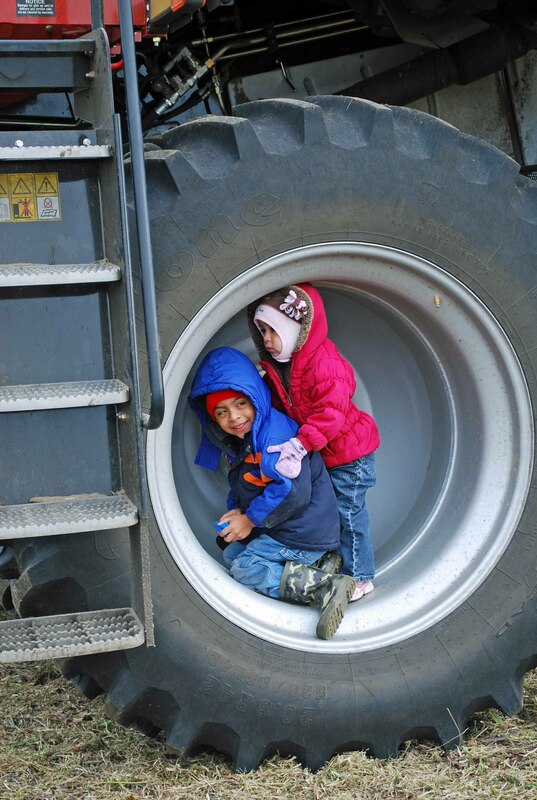 Last Saturday we enjoyed friends coming for a visit to the farm. 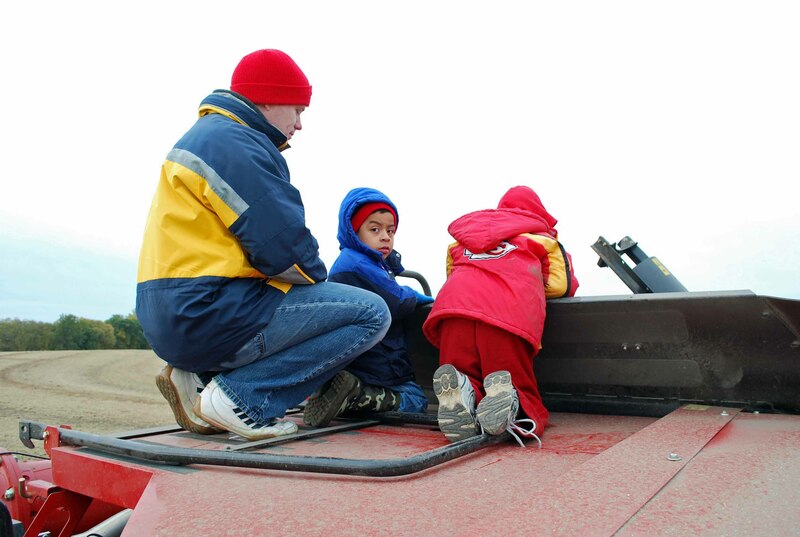 Like most families, these friends don’t have a combine in their backyard, so we had a grand time climbing up the ladders to look in the hopper, checking out the engine, riding around the field, “steering” the tractor and cart, and honking the semi’s horn. 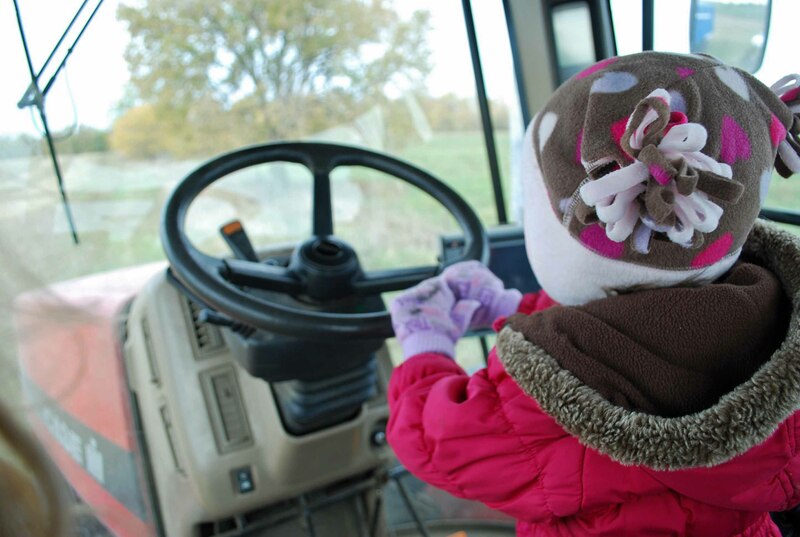 Now that you’ve seen the photos, what would you most like to do on a visit to the farm? Use your journal and your imagination!